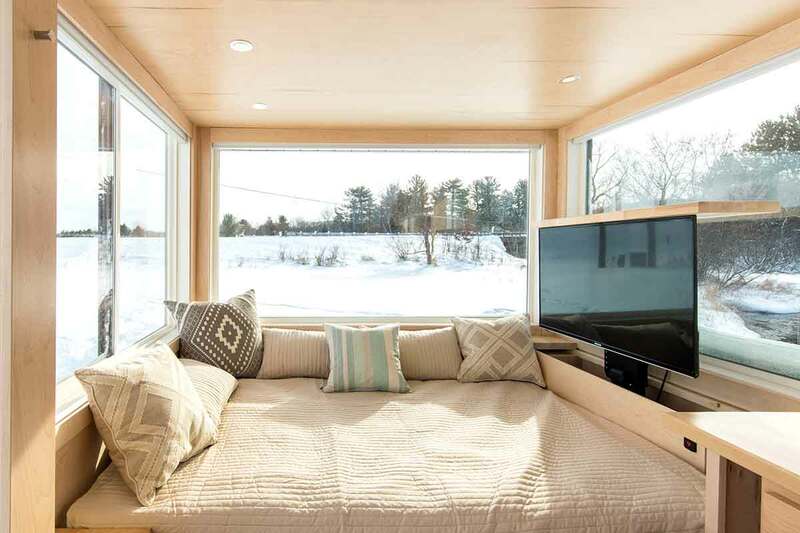 Blending the characteristics of a ‘tiny home’ and an RV, this new livable space is essentially a cabin on wheels. 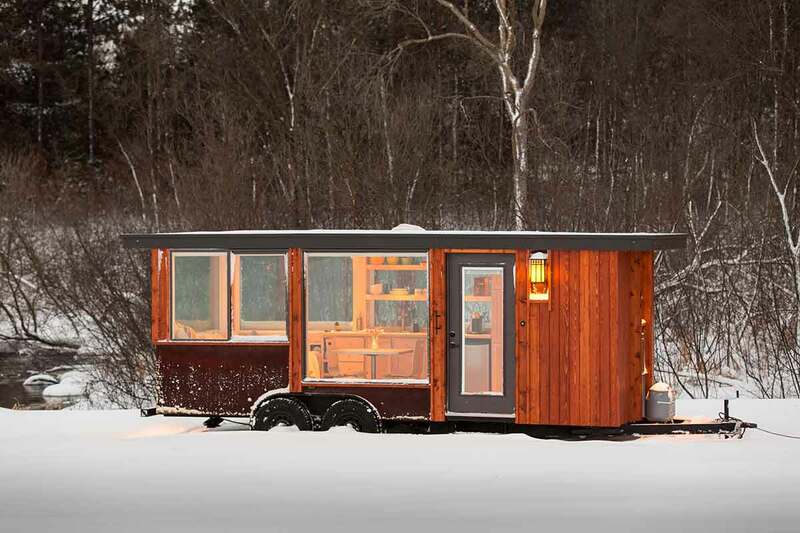 New this month, and made by ESCAPE Homes of Rice Lake, Wis., the cabin is mounted on its own trailer, transportable almost anywhere. 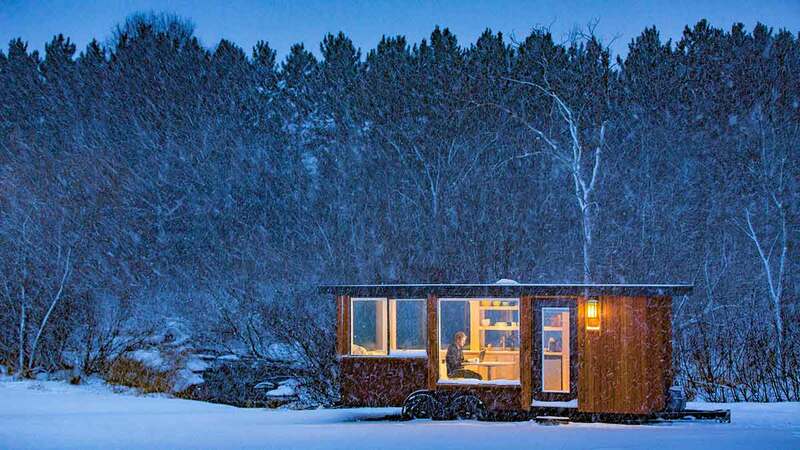 Hand-built in America by carpenters at the company, the 160-square-foot house (called the ESCAPE Vista model) has panoramic windows that “draw the outdoors in,” the company touts. 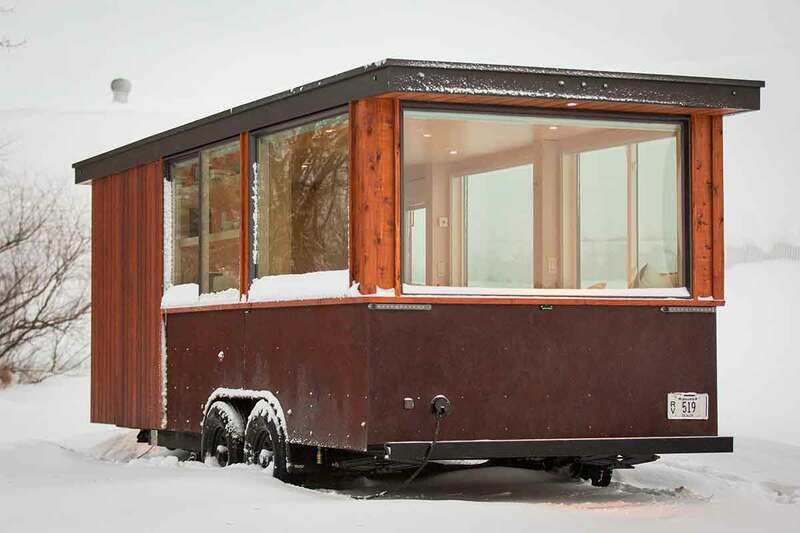 The cabin-on-wheels weighs 6,500 pounds and is 20 feet long. 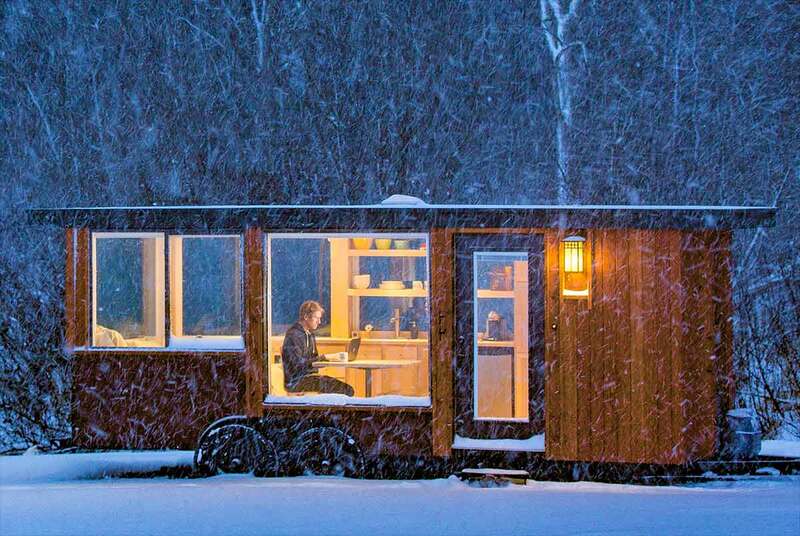 The company notes it can be used as a guesthouse, Airbnb or rental, or a weekend getaway to the beach or woods. You can tow it with a truck or SUV. 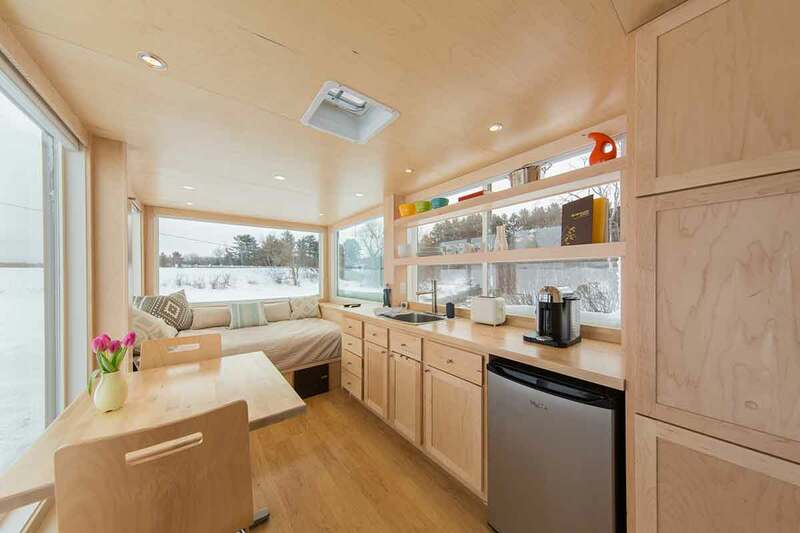 ESCAPE Homes touts it is a leader in “efficient tiny living,” with multiple models for sale. This one is the company’s newest. The exterior is finished with cedar and steel. 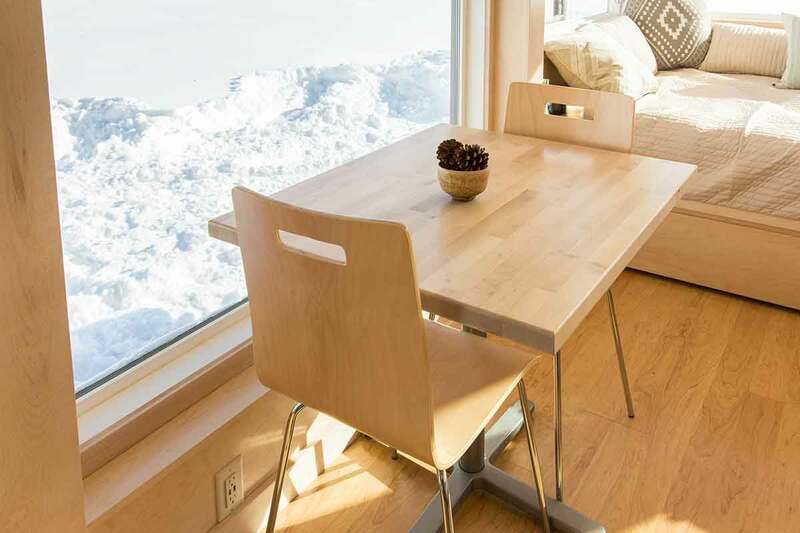 Aspen, maple or pine wood is used inside. 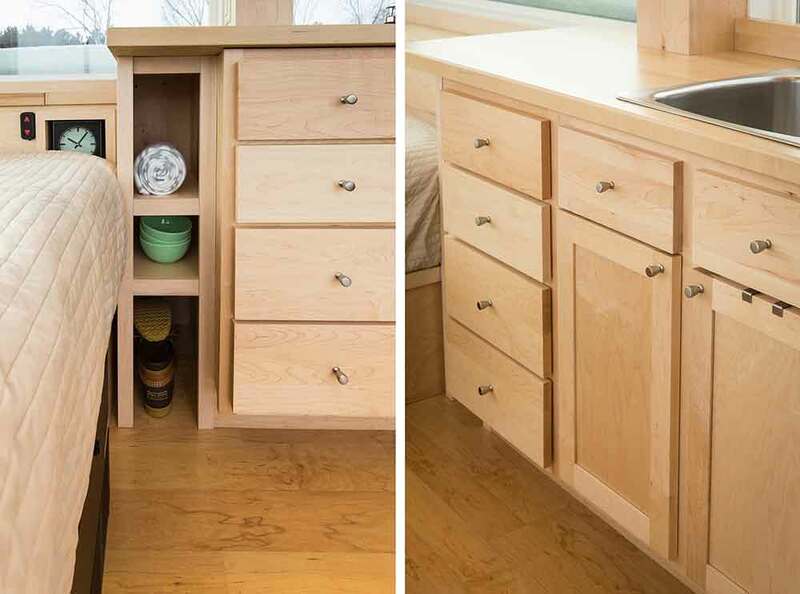 Standard features include a daybed/sleeping area, kitchen, bathroom (with full shower), a work/dining table, and multiple storage areas. Optional upgrades include items like a pop-up TV monitor, air conditioning, and stone countertops. Standard RV hook-ups for power and water are included. Or to live off-grid, you can add solar power and a composting toilet. It is about 8.5 feet wide and 9.5 feet tall. The ESCAPE Vista is for sale at an introductory price of $39,900. See escapehomes.us for all details.